This black and cream white wool blanket is designed for the homebody in all of us. Inspired by family game nights and storytelling around the fireplace. 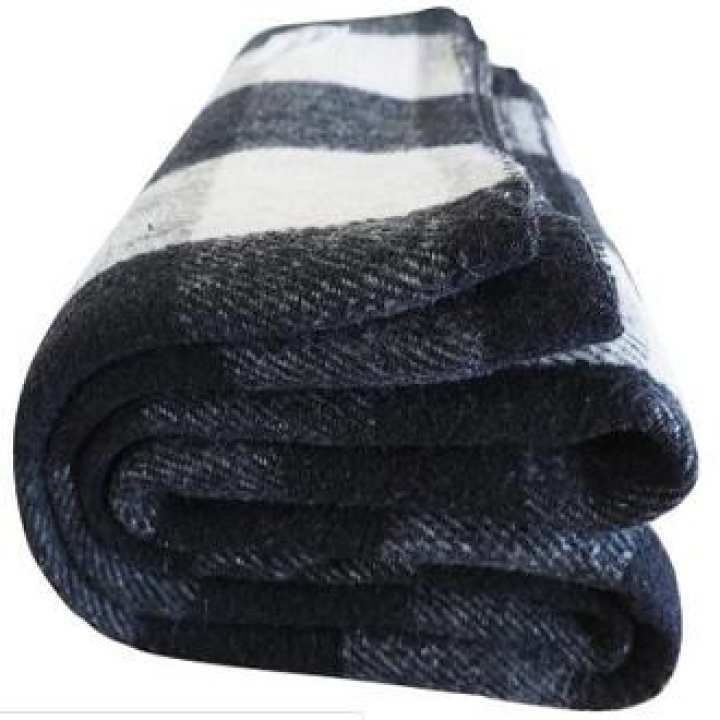 The Checkered wool blanketis great for a cozy night on the couch. Add a relaxed finish and textured touch to your home décor withthis timeless piece. Thisblanket is woven with 80% premium virgin Merino wooland designed using a twill weave. For enhanced durability, we have added a small amount of acrylic to the warp and weft. After the weaving process, this blanketis given a napped or “brushed” finish, resulting in extra warmth and softness. The edging of this blanket has a double-stitched overseam using polyester thread intended to withstand years of use.As a finishing touch, we have added a classic thick yarn whipstitch around all four sides of the blanket.